Whenever Christmas time approaches, some of us can get a little panicky as to what we should buy for friends or family. We won’t waste your precious time. Instead, we’ll tell you that we have selected some of the neatest presents we’ve managed to come up with, and they’re all showcased below. Check them out, if you want some new ideas or if you’d like to know what other people are getting their buddies and family members this Christmas. While some people aren’t particularly keen on Karaoke, others simply can’t get enough of it. 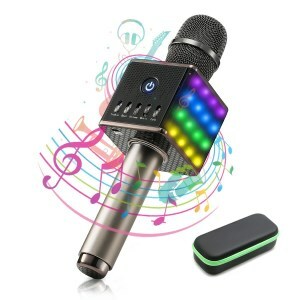 This microphone is cool, budget-friendly, and easy to use and it doesn’t even need a separate machine to get the job done. Besides, the person receiving this gift will enjoy its ability to connect to iOS and Android operating systems, which means that they might want to use them either with a smartphone or a tablet. Some of the nicest effects ensured by this microphone range from treble and bass to KTV and Accompany. If you’re ever left without any ideas, and you really can’t come up with anything, the safest way of going about things is to get a gift card. Whether you want one from this popular retailer or you get one from another type of store, be sure to give the recipient the freedom to choose anything that their heart might desire. Some people like books, for instance, while others might want to go for something else. Whatever your loved one might wish for, he or she can get it thanks to this type of present. Plus, this one is delivered via email, so the shopping will be done online. The gift recipient doesn’t even have to get out of the house. Of all of the musical instruments we have come across, the ukulele is the easiest to play. Kala, one of the world-known manufacturers in the industry, has created this kit for people who want to learn how to play this instrument. 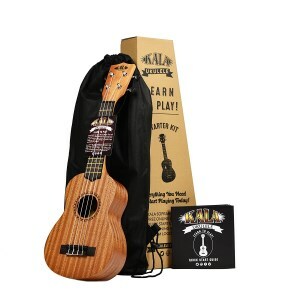 The unit is accompanied by free online lessons, an app with a tuner, as well as a tote bag that the user can employ to take his uke wherever he or she might feel like. The quick guide is particularly helpful for those who really have no prior experience when it comes to playing an instrument. S’mores are one of the most popular snacks of Americans these days, so why shouldn’t you be able to make your own instead of purchasing them? This kit comes with a roasting screen, two forks made from stainless steel, and a heat fuel. You can use this product both indoors and outdoors, as the sky’s the limit when it comes to whether you want to make your s’mores out of your home or inside it. 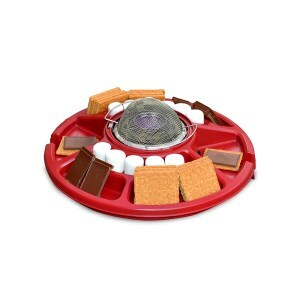 The kit is available either as a S’mores maker or a bundle that also includes two heat fuel cans. Seeing how this unit has mostly gotten favorable reviews, it wouldn’t hurt if you gave it a try. 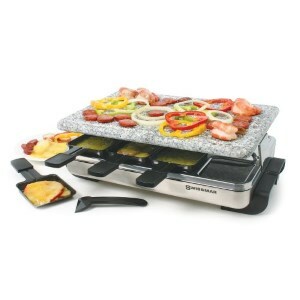 Raclette grills are some of the most popular appliances available online and at various retailers. And why’s that? Well, the neat thing about them is that they allow people at the table prepare their own dishes. It can’t get better than that. We recommend this type of gift for someone who wants to wow their mom because the mother will also be able to sit at the table with the rest of the family instead of having to carry stuff into and from the kitchen constantly. The granite stone grill top that the product was equipped with enables users to prepare anything from meat to pancakes and crepes. If you’re trying to find the right kind of gift for a kid, rest assured as this one can definitely make a great choice. It’s a cozy blanket that can turn into a pillow shaped like an animal. 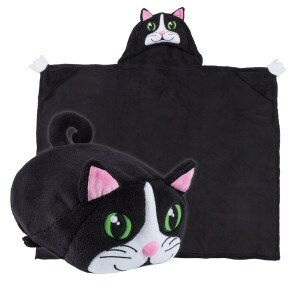 It’s made from high-quality fleece so that it can be washed in the washing machine. 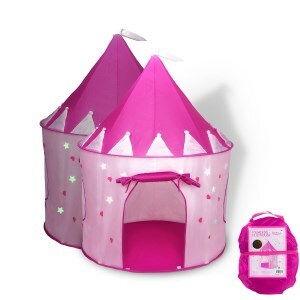 The product is durable, versatile, and convenient, and it will definitely make an impression on children. It’s also available in a variety of designs, therefore allowing toddlers and tweens be whatever their favorite animal is; a monkey, a dog, and even a unicorn. Nothing says ‘I love you’ more than a gift that a kid really wants. In the case of girls, this might mean a nice-looking princess castle. After all, girls are princesses in their own way and deserve to be treated as such. Whether you decide to install this unit in the backyard, provided that you live in Florida or California, where the chances of snowing on Christmas are rather slim, or you fit it in the kid’s bedroom, the fact of the matter is that it is one of the most charming gifts you can make. Plus, it’s very easy to assemble and is made from reasonably durable material. Similarly to the product we’ve mentioned earlier on, this unit is designed for boys. It is both convenient and versatile, and it requires little to no time for installation. It’s made of quality materials that enable it to withstand the test of time, and it can be cleaned swiftly and efficiently. Besides, you can install it anywhere. Place it in the child’s bedroom or even the living room if you have no place. This way, you’ll allow the kid to have many hours of fun even if the weather outside is foul. 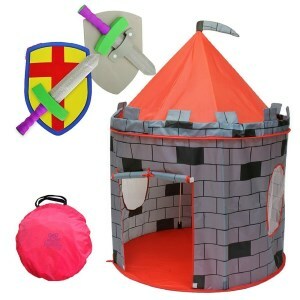 This tent-looking knight castle will definitely make an impression. Finding great Christmas gift ideas can be tricky at times because it requires attention to your loved one’s needs and some guidance about what their personal preferences are. There are no general rules when it comes to picking gifts for them. Nevertheless, you should listen carefully to your conversations with them and try to get useful hints that can make your job a lot easier. 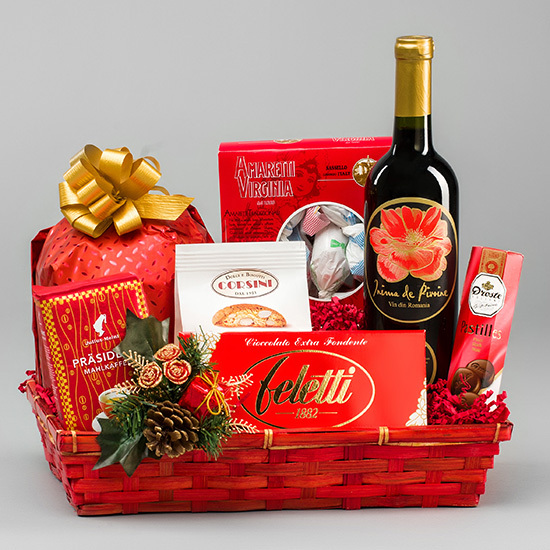 Think of the act of purchasing Christmas gifts as a way of communication between you and the receiver. You want them to know they are loved and appreciated and above them, you want to make sure that you bring a smile on their face. This is the main reason why you have difficulties in making up your mind, aside from the variety of gifts that can be found on the market. There are many factors to consider before purchasing the gifts, such as your loved one age, their hobbies, and personal style. It’s better to have a second opinion that can guide you through the world of Christmas gift shopping because you could find useful tips that may lead to wonderful ideas for the people you love. There are many wonderful options that you can use as Christmas gift ideas. All you have to do is to pay attention to the next features, and you’ll most likely end up purchasing awesome presents for your friends and family. Each of these solutions is guaranteed to work, and you can always use them applied to a specific person and their personal preferences. When it comes to cool Christmas gift ideas, most people overlook the fact that they are buying something for another person that has a different sense of style and other personal needs. Don’t get carried away and buy something that you think is nice or would come in handy because your gift taste is not the same with the person sitting next to you. Instead, focus on delivering a message and opt for a present that has a meaning for the receiver. Most of us don’t see the gift exchange process as a mean of communication because we are so concerned with various considerations like budget or fashion trends. You must avoid this trap and make a list for each of your loved ones and think about their hobbies, fashion style and even the lack of something important in their life. For instance, let’s say you’re struggling to come up with the best Christmas gift ideas for your wife and you spend hours searching for an item that might make her happy. You can ease your situation if you think of all the wonderful things she does for you and returns the favor. Jewelry is a classic example that always works because most women see in them a token of your appreciation for all their efforts. There’s no need to spend a fortune because you can always look for pieces on sale or vintage ones from the flea market. If she’s into sports or outdoor adventures, then you have a certain advantage because there are many specialized stores that have a large display of gear and equipment. 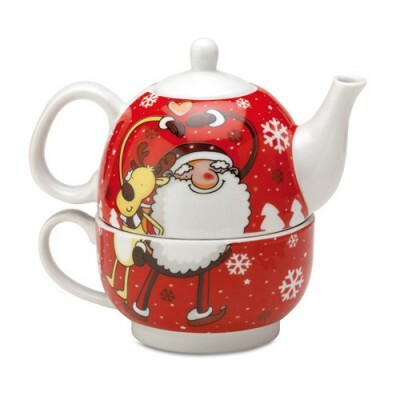 Also, there’s always the option of purchasing a gift that is practical to use and looks nice. Nobody wants an object that will sit somewhere in a drawer. When we receive something, we see the efforts the other person put into finding the perfect gift or their lack of interest if that’s the case. With the people we love, it’s even trickier because they tend to have bigger expectations from our part and we do want to make them happy with our choice. If you want some piece of advice regarding the best Christmas gift ideas for mom you should start your research with practical articles in your mind. Moms are always busy and barely have time to relax, therefore, why not give them a voucher for a full day treatment at a local spa? Or take her to see a theater show or a lovely art exhibition? These options don’t cost much, but they do show how much consideration and love you have for them. Gadgets are a big thing nowadays and everyone seems to be blown away by their overall performance the multitude of options they provide. Therefore, they are a great alternative if you don’t know exactly what gifts to buy for your friends or family members. If you need to communicate more often with someone from your family you can always buy them a smartphone or a PC tablet that will aid your need for speaking and texting. Another cool gift idea can be a GoPro camera if you have friends that love to take shots of everything they see and encounter. Or an electric oven with multiple functions if your mother or spouse like to cook delicious recipes. You have so many alternatives to choose from because the market is filled with products that offer clear descriptions and instructions so that you know for sure what would suit your loved one’s needs best. Besides practicality and personal preferences, you can’t overlook the age factor. You can’t buy a laptop for your grandma as a Christmas gift nor a CD with old music for your small nephew. It is quite important to adapt your choice of a present to their age group. Otherwise, you’ll end up buying unwanted gifts and make a fool of yourself. 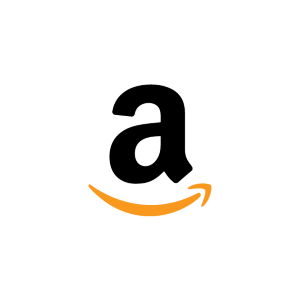 You can browse the internet and see some product suggestions or ask people around to see what they buy in general. You’d be surprised to see that others face the same difficulties when searching for the coolest Christmas gift ideas. But if you use these hints there’s no way you miss out a great present that will thrill the heart of the ones you love.